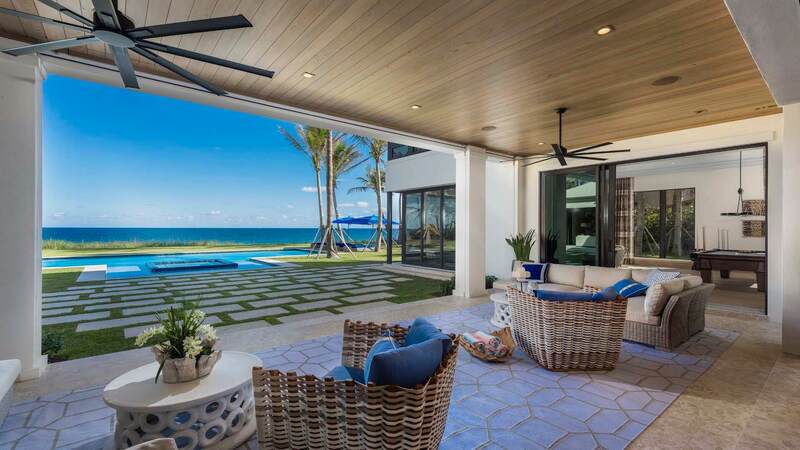 Nicholas Malinosky and Randy Ely just sold 6161 North Ocean Boulevard, Ocean Ridge, Florida for a record price. 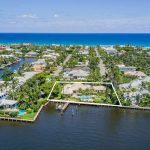 Exclusively listed by Randy & Nick for $24.95 million, this stunning oceanfront compound proudly takes its place along the Coastal Shoreline of the Palm Beaches. 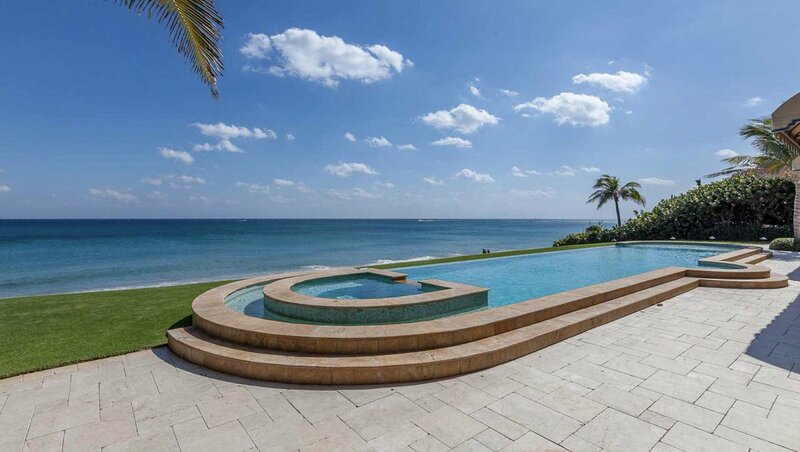 Introducing an exquisitely crafted transitional oceanfront estate with expansive ocean views in the heart of Palm Beach County. 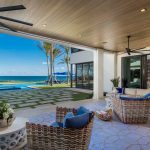 Custom built and designed by the most sought-after professionals in South Florida, this entertainer’s dream home features open concept spaces that seamlessly merge to showcase the sophisticated and refined interiors of the indoor-outdoor living residence. Enjoy 158 feet of direct oceanfrontage with a soaring elevation allowing for total privacy and unobstructed views of the Atlantic Ocean. This five-bedroom home offers a luxurious master suite with his-and-her baths and boutique closets plus four en suite guest quarters. 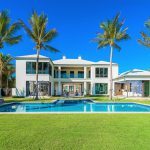 This brand new coastal estate represents a rare opportunity to experience the South Florida Lifestyle in the Seaside Town of Ocean Ridge! Please see Property Details. 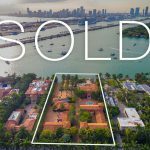 Nicholas Malinosky and Randy Ely of Douglas Elliman achieved the previous record-breaking sale in February 2016 when they sold 6125 North Ocean Boulevard, a brand new oceanfront estate listed for $17.95 million. Randy & Nick congratulate the seller on this transaction and welcome the new owner to the Town of Ocean Ridge.